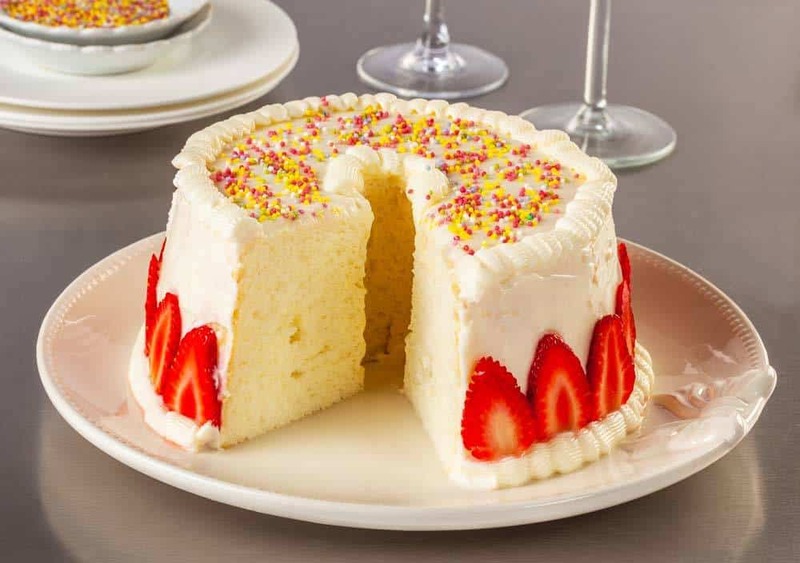 Do you wish to make delicious frosting for your angel food cake? 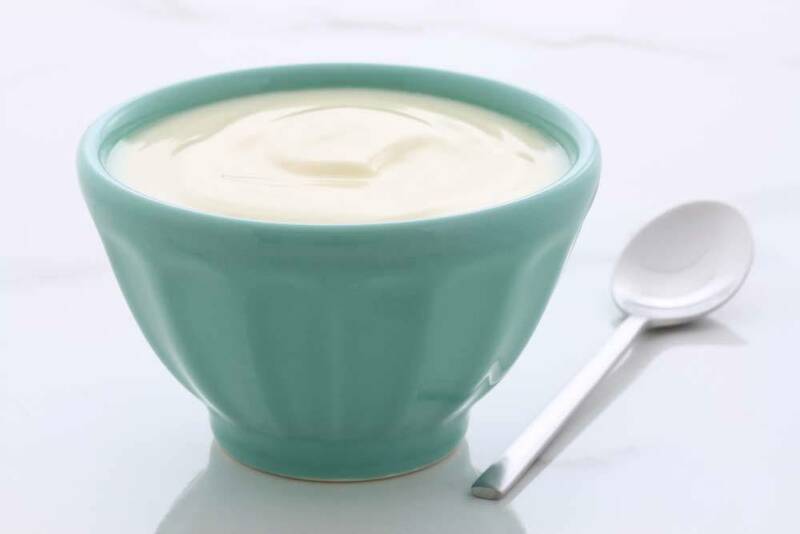 If yes, then it’s your lucky day because I’ll be making not one, but three angel food cake frosting recipes you can alternate to keep the family interested. The frosting recipes only require a few ingredients and steps. Even your kids can follow them! I discovered all these recipes when I was making an angel food cake the other day. Since I followed one frosting recipe for months, I think it’s time for me to experiment with some variations. If you like to bring more frosting variety in your angel food cake, check the frosting recipes below. To add some sweetness to the marshmallow frosting, you’ll need one cup of powdered sugar or confectioners sugar. This type of sugar is just granulated sugar that’s been ground finely and blended with a little amount of cornstarch to prevent clumping. Compared to other types of sugar, powdered sugar is perfect for making the frosting because of its beautiful texture. You need to use one tablespoon of light corn syrup to make the frosting smoother. Adding a bit of light corn syrup to the frosting makes it easier to ice in the angel food cake. 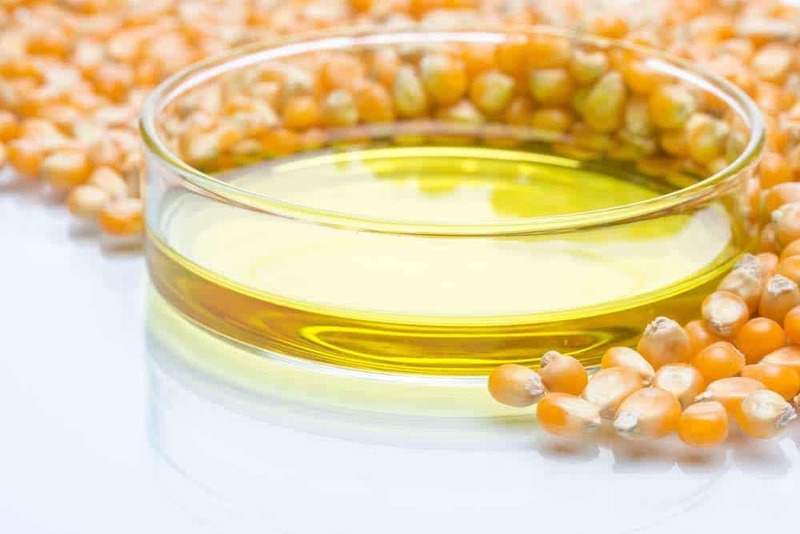 Compared to the dark corn syrup variant, light corn syrup is bright and has a moderately sweet flavor. A hint of vanilla is also present from the syrup. If you have no light corn syrup available, you can replace it with maple-flavored syrup, light molasses, or a mixture of water and sugar. 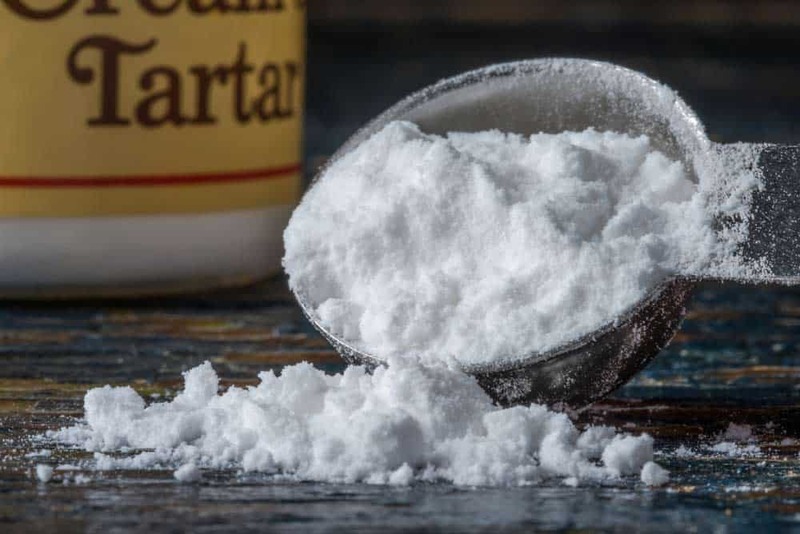 Cream of tartar is an acid produced during the fermentation of grapes. Since you’ll be using a lot of sugar, you need to add 1/4 teaspoon of cream of tartar to prevent the sugar from hardening. This beautiful white powder will provide a creamy texture on your frosting and optimize the volume of egg whites when beaten. To give structure on your frosting, you need to add two egg whites. 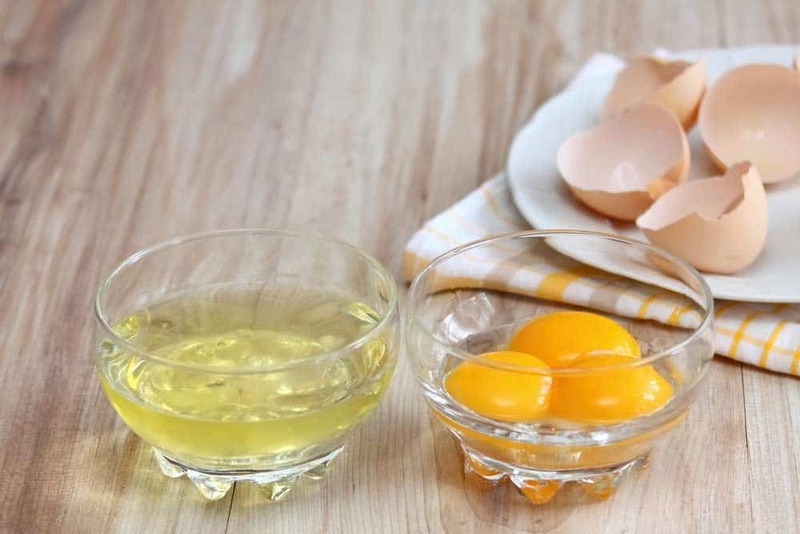 You can separate the egg whites from the yolk by using your hand. First, crack the egg over a bowl, then catch the yolk with your hand while you allow the egg white to drip through your fingers. Marshmallow cream is a very sweet confectionery. It has a spreadable texture that will make your frosting fluffy. For this recipe, you’ll need 1/4 cup or 4 tablespoons of marshmallow cream. You need to simmer about two cups of water in a saucepot to glaze your frosting. A warm frosting is more comfortable to spread over the angel food cake than a cold one. You also need another four tablespoons of water to mix with the ingredients. 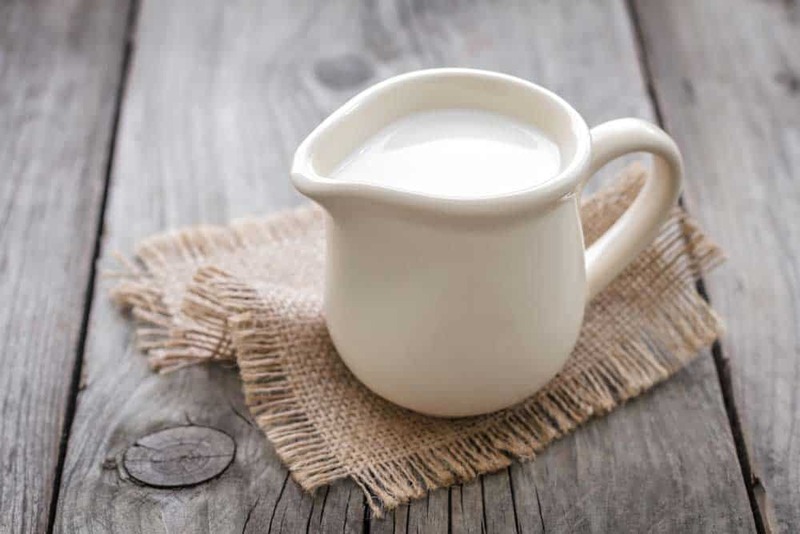 Heavy cream is whipping cream that contains 36-40% milk fat. When whipped, the cream will double its volume. For the whipped cream frosting, you’ll need two cups of heavy cream. In my experience, using heavy cream can cut down the sweetness of the cake. Again, you’ll need powdered sugar to add sweetness to the frosting. For this recipe, you’ll need 1/4 cup or four tablespoons of powdered sugar. 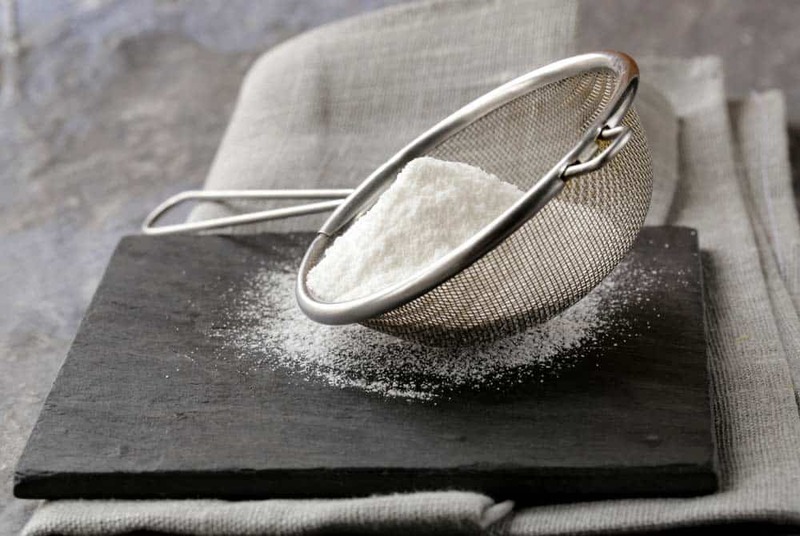 To enhance the taste of other ingredients, you can add a little amount of salt about 1/8 teaspoon. A touch of salt will cut down the sweetness of your frosting making it more delicious. 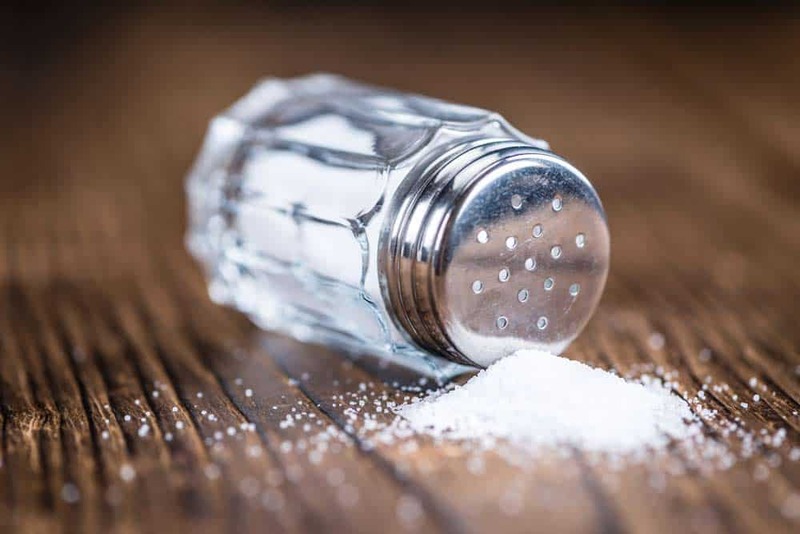 You can use either salt you have in your pantry: kosher or table salt. For additional flavoring, you mix a teaspoon of vanilla extract into the frosting. It has a pleasant aroma that makes your frosting even more delightful. 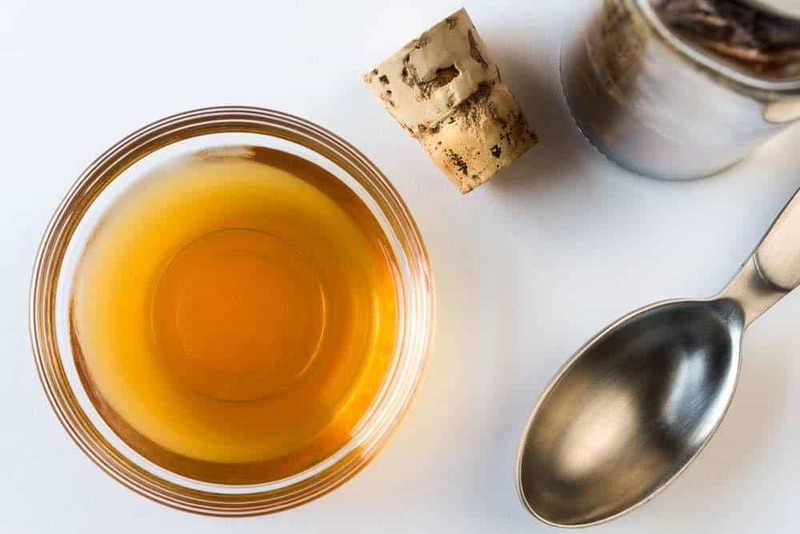 If you have no vanilla extract, you can use almond extract instead. For the chocolate frosting, you’ll need two sticks or one cup of softened butter. 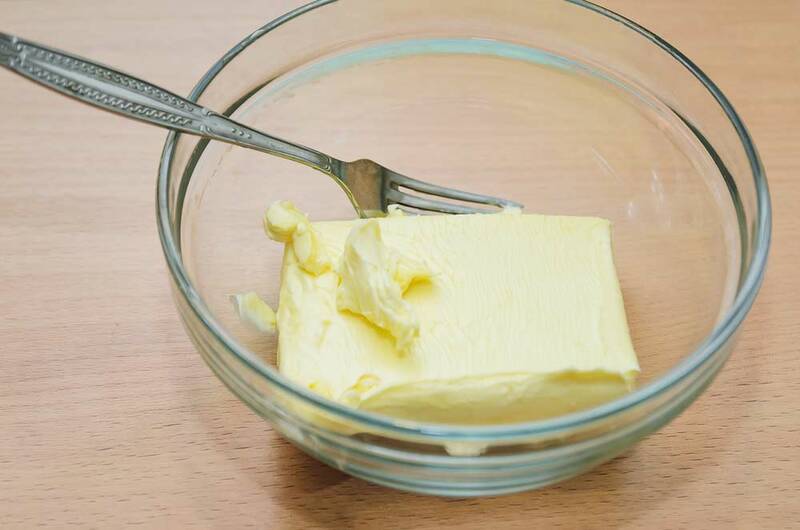 You can soften small chunks of butter by placing it near the warming stove. Another fun way is to pound the butter inside a resealable plastic bag with a rolling pin then leaving it on the counter for a few minutes. For flavor, you need to prepare three cups of confectioners sugar, 1/2 teaspoon of salt, and one tablespoon vanilla extract. As already mentioned above, sugar is vital for the sweetness of your frosting. The salt will balance the sweetness of the sugar while vanilla extract will add aroma and additional flavor to the chocolate frosting. Your chocolate frosting will not taste like chocolate without cocoa powder. 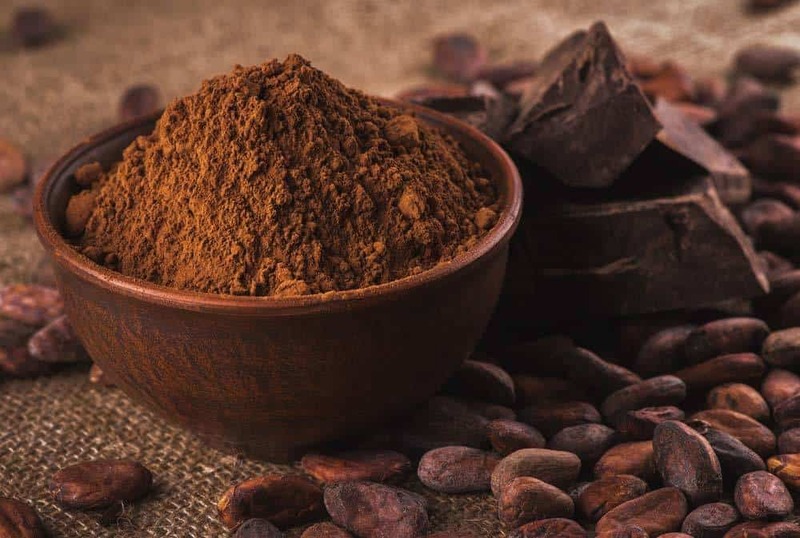 Unsweetened is preferred over sweetened cocoa powder because you can control the amount of sugar to be added. 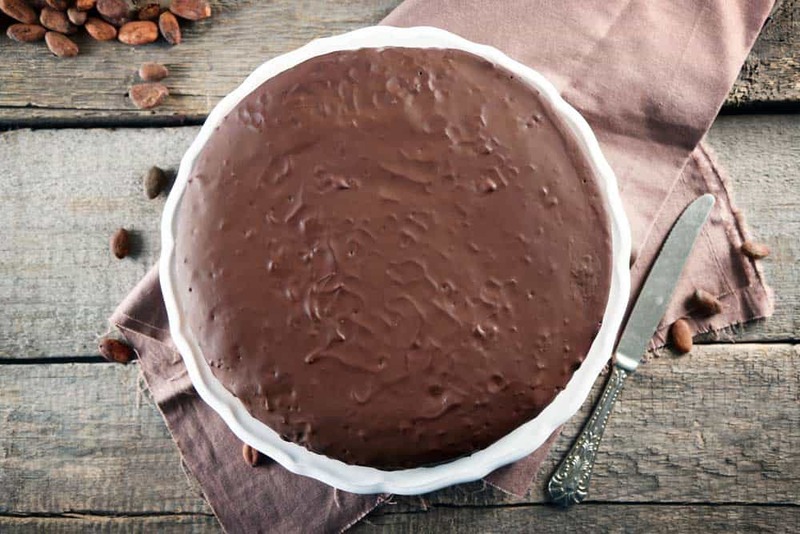 For this recipe, you need to prepare ten tablespoons of unsweetened cocoa powder. For that creamy texture and taste, you’ll need 1/4 cup or four tablespoons of milk. The milk will thin out your frosting making it easier to spread on the angel food cake. Adding milk into the frosting mix can also create a glaze-like result. To simmer water for warming the frosting, you need a medium saucepan. 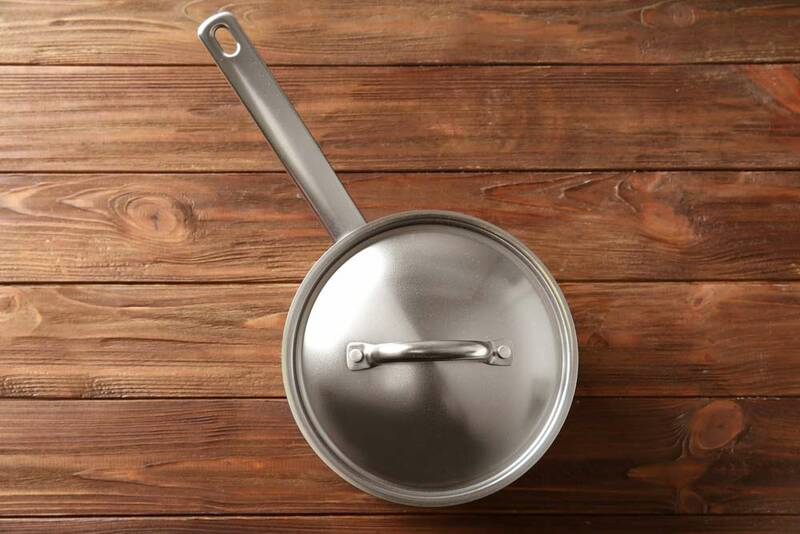 Your choice of the pan can be made in any materials: copper, aluminum, or stainless steel. Make sure that pan is strong enough to hold a large bowl for your frosting. A large bowl will serve as a container where you mix all your frosting ingredients. For recipe 1, a stainless steel bowl is needed to hold the heat longer. For recipes 2 and 3, any material of pan will do. 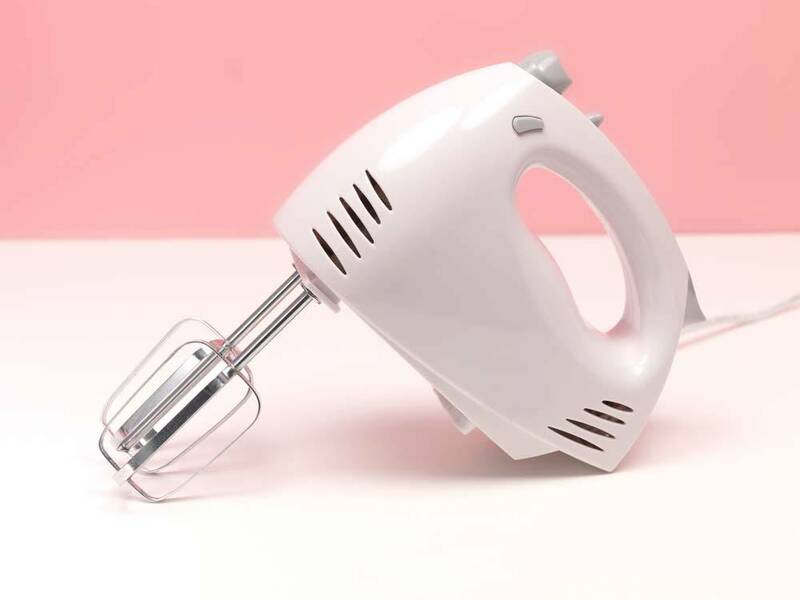 To beat all your frosting ingredients together, you’ll need a hand mixer. If you have one, use a stand mixer with a paddle attachment. 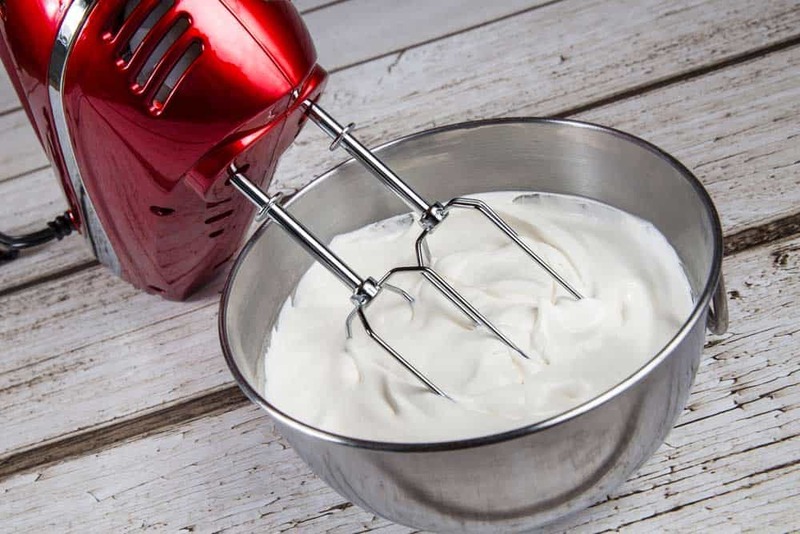 A hand mixer can still work efficiently at a lesser cost. 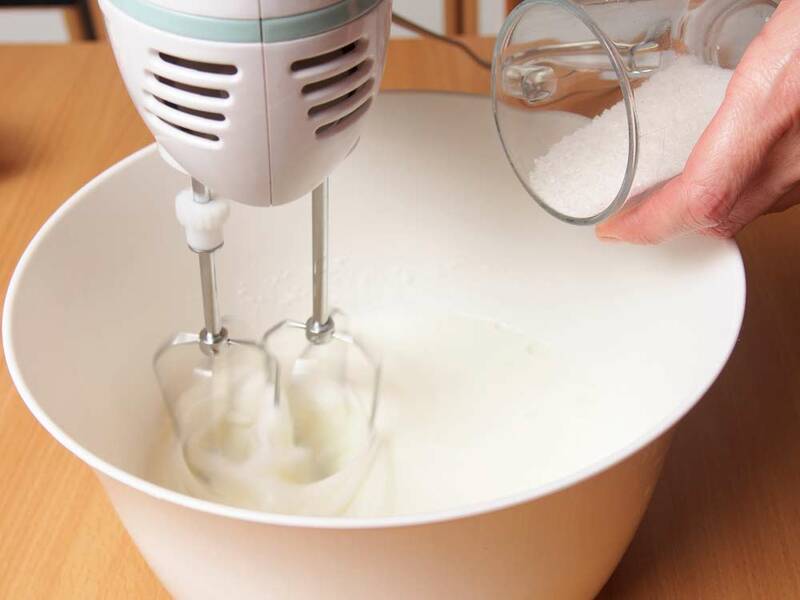 If you don’t have an electric mixer, you can use a whisk to beat the ingredients manually. Mix the ingredients well. In a medium saucepan, simmer two cups of water. Fit a large glass bowl over the pan and prepare your ingredients: one cup powdered sugar, one tablespoon light corn syrup, 1/4 teaspoon cream of tartar, two egg whites, four tablespoons marshmallow cream, and four tablespoons water. 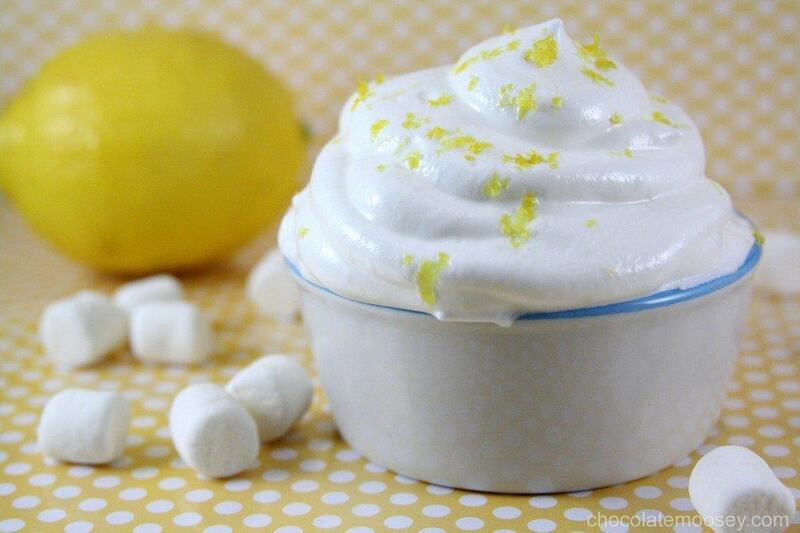 Place all the ingredients except for the marshmallow cream in a bowl. Using a hand mixer, beat the ingredients for seven minutes. When the mixture has become smooth, shiny, and created peaks when you lift the mixer from the bowl, remove the pan from heat. Now beat in the marshmallow cream into the smooth mixture slowly. To begin, prepare your ingredients: 2 cups heavy cream, four tablespoons powdered sugar, 1/8 teaspoon salt, and one teaspoon vanilla extract. Also, make your bowl and hand mixer. In a bowl, place the heavy cream, sugar, and salt. Using your hand mixer, beat the ingredients until firm peaks form. Next fold in the vanilla extract. Now you’re ready to spread it on the angel food cake. For this angel food cake frosting recipe, prepare 1 cup softened butter, 3 cups of powdered sugar, ten tablespoons unsweetened cocoa powder, 1/2 teaspoon salt, one tablespoon of vanilla extract, and 1/4 cup of milk. Also, get your bowl and hand mixer ready. Now cream the softened butter with your hand mixer. When the butter has become fluffy, pour the milk, powdered sugar, salt, unsweetened cocoa powder, and vanilla extract. Beat until the mixture blends well. Get ready to frost the cake. See more: best latte machine reviews & buyer’s guide. 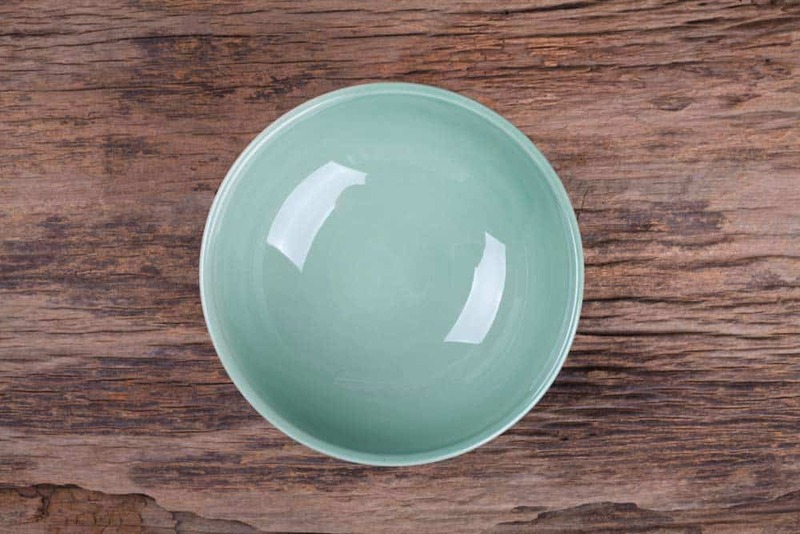 If your frosting has become too soft, Food 52 suggests placing the bowl in an ice bath and beating it to preferred consistency. If the frosting is still too smooth, you can try adding more powdered sugar. If the frosting has become too stiff, you can soften it by placing the bowl in a pan of hot water. Let it sit for several seconds. Beat it until you have reached the desired consistency. If not, consider adding some liquid. When making the whipped cream-based frosting, Bon Appetit advises you to resist the urge to make it in advance. If you make the frosting in advance, chances are, they will droop. The best time to make your frosting is before you serve the cake. It’s also recommended to use ingredients at room temperature and not at a cool location because the cold tends to create a curdled texture on the frosting. I hope that you’ve selected the angel food cake frosting recipe that suits your preference. I never thought that making frosting is easy until I have done it myself. The hand mixer you’ll use will technically make the beating of ingredients simple. If you have questions about or suggestions for the article, please feel free to share them with us in the comments section. You can also share this article with your friends and family if you liked it!